Are you concerned about hair loss? We can help. 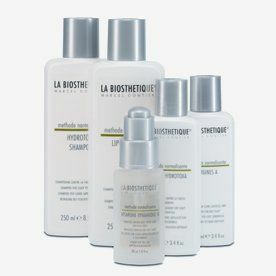 At Sublime Hairdressing, we have selected premium hair care brand, La Biosthétique as our product and treatment partner. 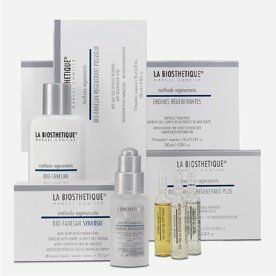 La Biosthetique ranges include customised hair and scalp treatments, hair loss treatments and professional colouring. Using a microscope to analyse the quality of the hair bulbs, we can diagnose and treat a range of hair and scalp conditions. The La Biosthétique is a prescriptive hair care brand that uses natural ingredients to address scalp and hair conditions. You can book your consultation with us by appointment. The consultation process involves examining the current health of your hair and scalp. Based on the results, our team of experts will recommend the right products for you. We not only supply the products but we also use them in our hair care treatments. Contact us to book an appointment. You can also depend on us for men’s grooming services in Stirling.